Mary Murphy with a photo of her son Garry . Photograph by John Kelly. 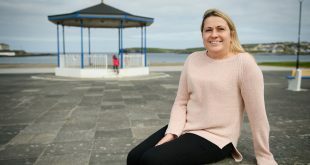 AN Ennis family has been lauded by a local kidney recipient for donating organs from their 19-year-old son, who died unexpectedly 10 years ago. 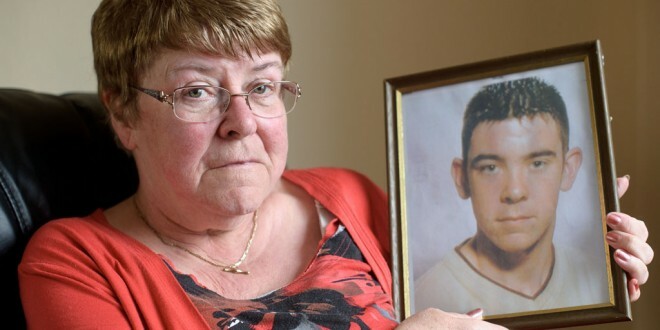 In an interview with The Clare Champion to promote Organ Donor Awareness Week, which continues until April 4, Mary Murphy, Considine Road, explained that her youngest son, Garry died as a result of heart failure caused by a seizure in 2005. Mary says that she didn’t really think about organ donation at the time because she didn’t think anything was going to happen to Garry. “The family was called into a room in University Hospital, Limerick and were asked would we donate his organs and without even thinking, I said ‘yes’. Even though Garry was on life support, it was as if I was on the outside looking in. I brought in his clothes for going home. It hadn’t hit home. His kidney and pancreas were transplanted at Beaumont Hospital, Dublin. The recipient was a 24-year-old woman with diabetes and renal failure, who was on dialysis for 18 months before the transplant. Another kidney was given to a 14-year-old boy in Temple Street Hospital, who spent a year on dialysis before a suitable match was found. Garry’s heart, which was transplanted in the Mater Hospital, was given to a 56-year-old woman, while his liver was donated to a 54-year-old lady. All four transplant operations were very successful. In a letter sent to the family on March 5, 2005, transplant co-ordinator, Phyllis Cunningham said it may comfort the family to know that Garry’s organs had given new life to four patients. “I know these patients and their families will be forever grateful to their donor family for your kindness and thoughtfulness for others, even in your time of grief. You will always be in their thoughts and prayers,” she stated. Garry, who had a great sense of humour, was a member of the Banner GAA Club, although he wouldn’t have been regarded as a GAA fanatic. He supported Sheffield Wednesday soccer club, even though it was neither popular nor fashionable to do so. He worked behind the bar in The Brewery and O’Halloran’s at weekends and used the money he earned to buy credit for his mobile phone, which he used practically non-stop to text and call his friends. Garry went to school with Patrick Eustace, who had a kidney transplant as a child. Patrick, now 29, received a kidney from a donor when he was just 12 years of age. Born with kidney difficulties, Patrick regularly required hospital treatment and his kidney deteriorated so much that he required dialysis the day after his 12th birthday. 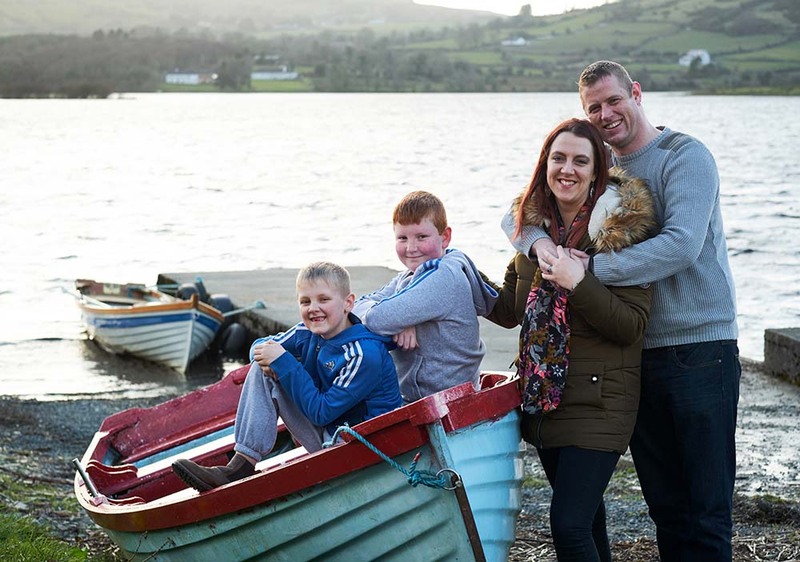 As a minor, waiting lists were shorter and he managed to secure a new kidney in six months and had the transplant completed in Beaumount Hospital, Dublin. Following the transplant, he had check-ups in Crumlin Hospital, University Hospital Limerick and Ennis Hospital. He now has routine check-ups in Merlin Park Hospital, Galway. Lamenting the closure of 24-hour accident and emergency services at Ennis Hospital, he said he was resuscitated in Ennis when he was a toddler. “Bar one minor scare after the transplant, I have been very lucky. My check-ups and blood tests have been good. I would have had a very small appetite when I was a child in national school. My appetite soared when I had the transplant,” he said. Patrick and Garry started off together in the same class in Ennis National School and both went to St Flannan’s College, Ennis. Garry repeated his Leaving Certificate when Patrick went to University of Limerick. After a night out with some friends, news filtered through that something had happened to Garry. News of his death came as a huge shock to Patrick, as well as Garry’s family and wide circle of friends. “Garry was in great form. Garry was an outgoing person, who was always good fun. I had said good luck to him on the Friday night and the next day I heard the news,” Patrick remembers. 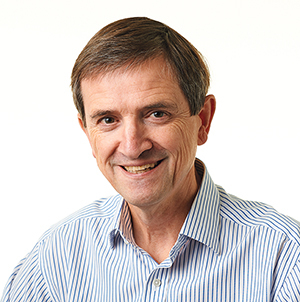 As a kidney transplant recipient and close friend of the deceased, Patrick had a unique insight about the benefit of Garry’s parents’ act of generosity. “They made a very courageous decision to donate his organs. Thanks to their generosity, there are people walking around today who have benefited from this. All my friends would have been aware of what I had gone through and understood what was happening when that decision was made. It made me appreciate more what I had received. You appreciate it more and more as the years go on,” Patrick says. Mary recalls that a few weeks before Garry passed away, a neighbour’s son was stabbed in Kerry. Mary says she told his mother, “I wouldn’t pretend I know what you are going through and I hope I never find out”. A week after he died, someone suggested that Mary should receive counselling but she felt it would be no use at that stage and didn’t go. “I went back working a week after the funeral on a community employment scheme in St Vincent de Paul. I was meeting people there. There was no point sitting around at home,” she recalls. She acknowledges that the fact that four families are still benefiting from Garry’s organs is of some comfort to the family. Mary explains that one of most distressing things they endured after Garry’s death was the length of time it took to get his death certificate. Two death certificates were sent out by taxi from University Hospital, Limerick, one confirming Garry’s death and another person but they both got lost. Mary says it took weeks before they got Garry’s death papers, as the hospital initially refused to write another one. However, when Mary sat down to answer her letter, she also found it very hard to complete and could then understand how she felt. As a recipient, Patrick admits he was in the same situation and found it hard to start and finish his letter to his donor. Garry had a donor card, which Mary admits he probably just picked up and never thought it would be used. While carrying a donor card is vital, Patrick points out it is also important for families to have a conversation with their next of kin about their intentions concerning organ donation in the event of their death, as this takes precedence over the card.